DIY Christmas Project and Room Tour Round Up! So between living life, getting ready for Christmas and all, I haven’t put up a new post in a few days! Ah! 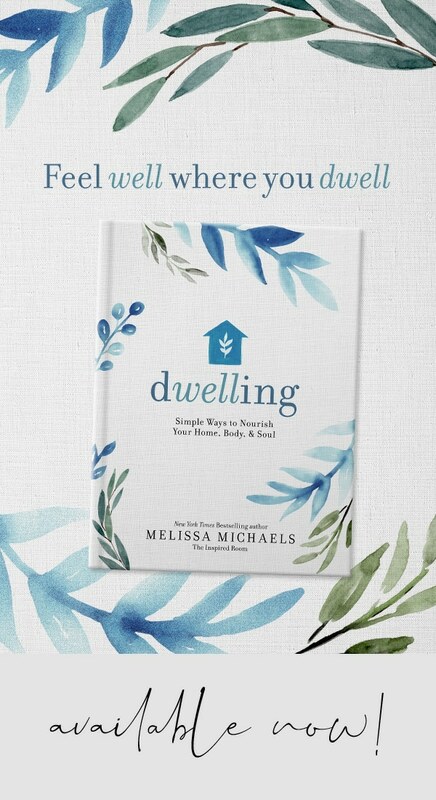 So much to show you, I’m decorating and cleaning and getting ready to invite you all over (virtually!) for the Christmas Home Tours next week, but I’m not quite ready yet. Sigh. But it sure is fun getting ready! This has been the most fun I’ve had decorating for Christmas since I’ve lived in this house! But no new post here doesn’t mean I haven’t been posting elsewhere. Oh, no. I’m always posting somewhere! I’ve been adding some fun new Christmas DIY’s and a couple of new Christmas Room Tours for your viewing pleasure! 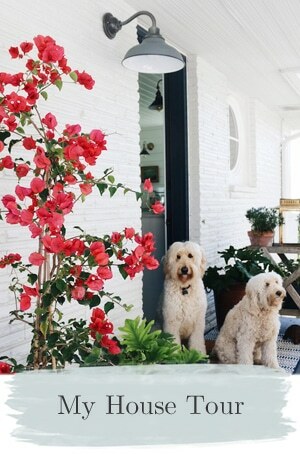 I love featuring bloggers and their creative talents! Be sure to click over and check them out! I’ll be adding quite a few more this week! Note: If you are featured in Room Tours or DIY, be sure to grab your “I was featured” button! 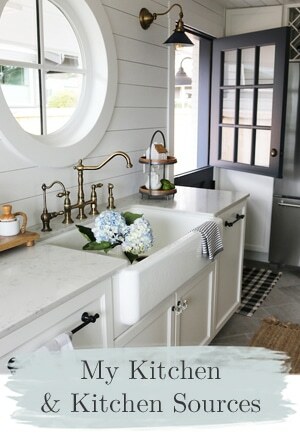 Also, I shared a post awhile back over at (in)courage that I forgot to mention but hope you’ll visit, called The Good Dishes. 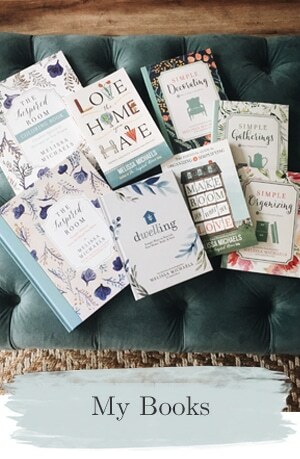 And, last but not least for today, I did a round up of 6 of my own DIY Christmas Crafts over at actress Candace Cameron Bure’s new online magazine, Roo Mag! Check it out! I’ll be back soon with some Christmas decorating updates and adding Room Tours and DIY all week! 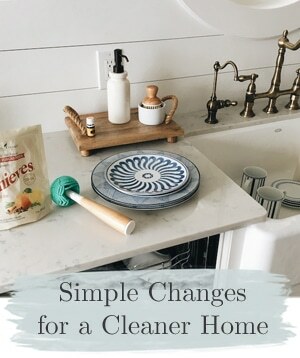 If I can get my act together and keep Jack from undoing all my decor, I’ll show what I’ve been up to at my own house, even before next week’s Home Tours here at The Inspired Room! I hope you are going to be a part of the fun!! And because one can never have too many parties (right?) I’m also getting ready for our church’s second annual Hideous Christmas Sweater Party and Awkward Family Photo Day this weekend! Never a dull moment around here, I’ll tell ya! How about you, is your week as crazy as mine? The Santa Brownies are adorable…It will definitely be one of my desserts on the Christmas buffet!! !..thank you for sharing these great ideas! Well i cant wait to see it all dressed up! Oh cute! Def. doing those santa brownies!! 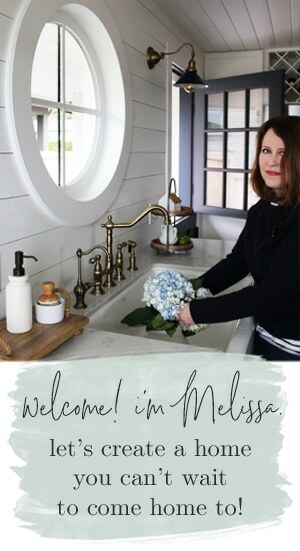 Melissa, Thanks for the shout out!!! Thanks for all this great stuff Melissa! I’m looking forward to seeing your holiday decorating!! I’m definitely going to make those Santa hat treats! I can’t wait to get going on my Christmas baking this year! Thanks for sharing! Perhaps I’m showing too much as I go along to participate in the party, though I’ll certainly be visiting those who do! No, it is fine to show stuff ahead of time! Not everyone who comes to the party will have seen what you shared! You can also create one “Christmas Tour” post with the highlights and link up to that! ;-) Glad you’ll be coming to visit too! Ohh they are too cute! the Santa hat brownies are the hit!!! I can’t wait to be part of your December 12th linky party! I put it on my calendar so I’ll remember! I loved looking through your “Featured Room Tours” and “Featured DIY Projects” this morning…I pinned several of your features! 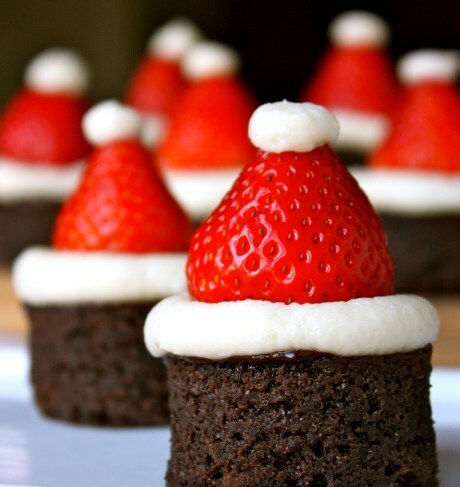 The Santa hat brownies are too cute! Such great pics! 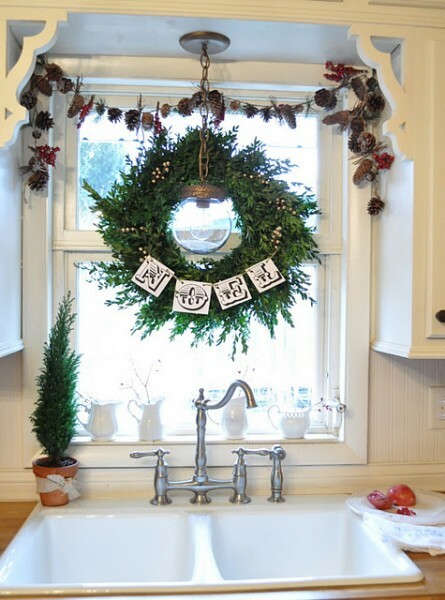 I love the Santa Hat idea, and the wreath above the kitchen window is divine!